Here you will find posting about some more personal aspects of my life. It will also give you an idea of how technology impacts on my work and play. This entry was posted in Internet and New Media, Personal on 7/4/2011 by ddewhurst. I’m finally getting into Twitter and I’m starting to prefer it to facebook. It cuts out all the hundreds of pointless apps and pokes and fan notices. Just the stuff you really want read. What your friends (and a few famous people) are up to. I just wish I could find a decent always on App for my S60 mobile. Maybe I will try adding my twitters to my blog site as well. This entry was posted in Internet and New Media, Personal and tagged facebook, twitter on 22/2/2009 by ddewhurst. Im currently trying to learn Finnish. It’s quite a difficult language to master to once you start to get the hang of it it can be quite rewarding. As I have been mainly teaching myself I have used all the books, CDs an DVDs I can get my hands on. 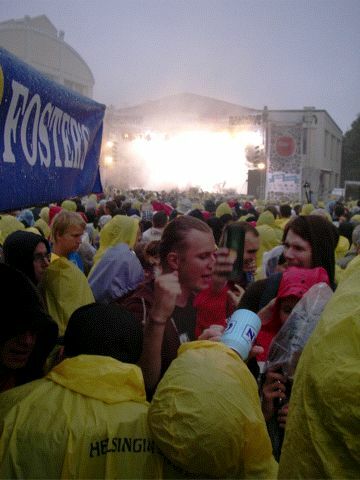 My top 2 most useful for a beginner are the book and CD Teach Yourself Finnish , and the TV series and book Supisuomea. As I have mentioned in previous posts I have also created a free mobile phone game to help you learn some basic Finnish which you may find useful. Finally I have created an Amazon Store page where you can see my other recommended Finnish learning materials. If you make any purchases here they will help fund future updates to the Finnish mobile phone game. This entry was posted in General, Personal on 30/11/2007 by ddewhurst. 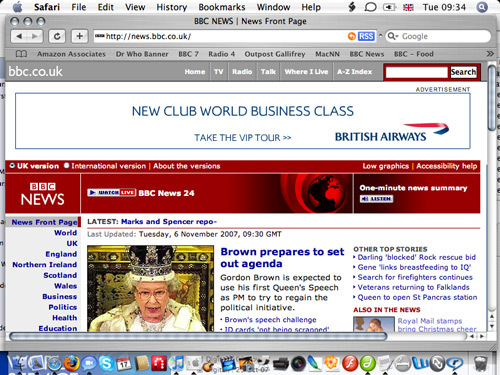 The BBC has finally introduced the much talked about adverts onto all of it’s web pages, when viewed from outside the uk. I can understand the reasoning behind this, especially for broadband video and pages about TV shows. However when it comes to the news it does make me feel uncomfortable.My main problem however is with the layout of these new adverts. As you can see from the picture below, I pity anyone who has an 800×600 monitor, or who would like to visit BBC news on a mobile device. The advert along with the vast amount of white space surrounding it, the superfluous grey header and the main BBC News header, means that over half the space is taken up before we even reach the news. Ok so you can scroll, but BBC News is a site with lots of pages with individual articles on, so after a few minutes browsing the news you become fed up of waiting for it all to load and scrolling down to the text.Also they are really annoying animated banners. Please BBC introduce static pictures or even better Google style text adverts.I recommend if you feel the same, let the BBC know, switch to reading the news off their RSS feeds, and most importantly of all: Dont Click On The Adverts! If no-one clicks, they wont get any money and they will have to change the system. This entry was posted in Internet and New Media, Personal on 6/11/2007 by ddewhurst. This entry was posted in Personal on 17/9/2007 by ddewhurst. I can’t wait for the return of the Cybermen to Doctor Who on BBC1 this Saturday night. 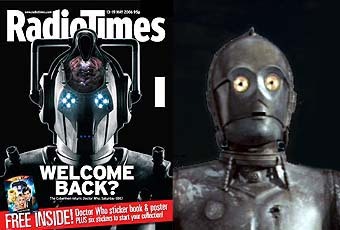 This year’s series is turning out to be even better than the last so it should be good… I like the new design for the Cybermen but has anyone noticed the similarity with C3PO from Star Wars? This entry was posted in Personal on 8/5/2006 by ddewhurst. Checked baggage – 15kg per person (no infant allowance). 81Ã—119×119 cm. Hand baggage – 10kg per person. 55Ã—40×20 cm. Hand baggage – 6kg total. 55Ã—40×20 cm. EDIT – 11/12/07 – ONE cabin bag, no bigger than 56 cm x 45 cm x 25 cm (approximately 22 inches x 17.5 inches x 9.85 inches). You must be able to lift it into the overhead lockers. Checked baggage – 20 kg. Hand baggage – 8 kg 55Ã—40×20 cm. EDIT – 11/12/07 – ONE cabin bag, no bigger than 56 cm x 45 cm x 25 cm (approximately 22 inches x 17.5 inches x 9.85 inches). I like the extras that Finnair allow: In addition to the above, you may bring into the cabin an overcoat, a small handbag, a walking stick, a small camera or binoculars, childrenâ€™s food and a reasonable amount of reading material. Thatâ€™s if you can get through the door! Interestingly Ryanair are the most generous for hand baggage, but I think this is purely so they can reduce the allowed checked baggage in an effort to save even more money. What surprises me most however is just how little weight you are allowed for hand baggage with British Airways. This entry was posted in Personal on 24/1/2006 by ddewhurst. This entry was posted in General, Personal on 14/6/2005 by ddewhurst. This entry was posted in Personal on 5/5/2005 by ddewhurst. Firstly a big thank you to everyone who has voted on the new updated site. We have received nearly two thousand hits in just over one month! You can vote for every Doctor Who story broadcast (including the new series) and see the latest results updated live here. In September the site will be ten years old and inspired by some of the feedback I have received, I will compile a chart showing how peopleâ€™s views on various stories have evolved over the past ten years. To do this I will be using a great resource called the Wayback Machine which is an amazing archive of old websites. You can see part of the archived results for the Dynamic Rankings here. Finally, I would just like to say how impressed I was with last weeks episode of Doctor Who â€˜The Unquiet Deadâ€™ not only was it one of my favourite episodes of Doctor Who, it is also the best piece of TV I have seen in years: fantastic! As of writing it is in a well deserved number six in the rankings. This entry was posted in General, Personal on 12/4/2005 by ddewhurst. Doctor Who Dynamic Rankings – Update coming soon! I was looking through Google’s news group archives the other week and I discovered that the Doctor Who Dynamic Rankings page that I run will be ten years old in September. With the new series due to be broadcast any day now I thought it was high time for an update. The site was originally created by my brother, and I have since taken over the running of it. It is a survey of on-line fandom’s likes and dislikes of the BBC science fiction series Doctor Who. It had, at one point, an automatic script to update the rankings as people voted, but due to a bug this stopped working, since then the votes have been collated by hand. So once again, with the help of my brother on some of the more technical PHP aspects, I am reintroducing the automatic updates. I am currently in the process of implementing an IP and cookie system to stop people voting more than once. Although I envisage resetting the results every year to see how peoples’ views of stories change over time, whilst still keeping a grand total vote of all time. The whole site will also get a full CSS standards compliant makeover as well as a new look. This entry was posted in Personal, Web Design on 25/2/2005 by ddewhurst.